I Can't Believe I Missed Alice in Chains — Paolo M. Mottola Jr.
Well, I missed the free show/band reunion of the decade last night. According to the P-I, Alice In Chains gave 30 minutes notice and put on a free show at the Moore Theatre. 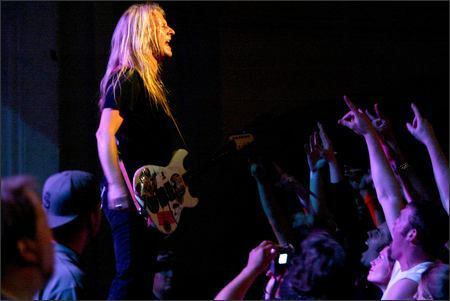 Singer-guitarist William DuVall filled in for the late Layne Stanley, who died in 2002. Yes, I definately would have skipped American Idol to catch that show. I probably would have been able to reclaim my taste for good music, too.